The U.S. Department of Education has given final approval to Connecticut’s plan for grading public schools and intervening in those that struggle most. The approval comes one month after reviewers at the federal agency wrote a blistering evaluation of the state’s initial plan, which described how it intended to meet the requirements of the federal Every Student Succeeds Act, which replaced the No Child Left Behind law in 2015. The state education department quickly made changes in the plan to address federal criticisms – but stood its ground on a key measure for grading schools. The state plan requires more accountability for the success of English-language learners and defines a new procedure for state intervention in underperforming local schools. The state convinced the federal education department to accept year-to-year student improvement as the primary measure of school performance, not just the achievement of grade-level proficiency. 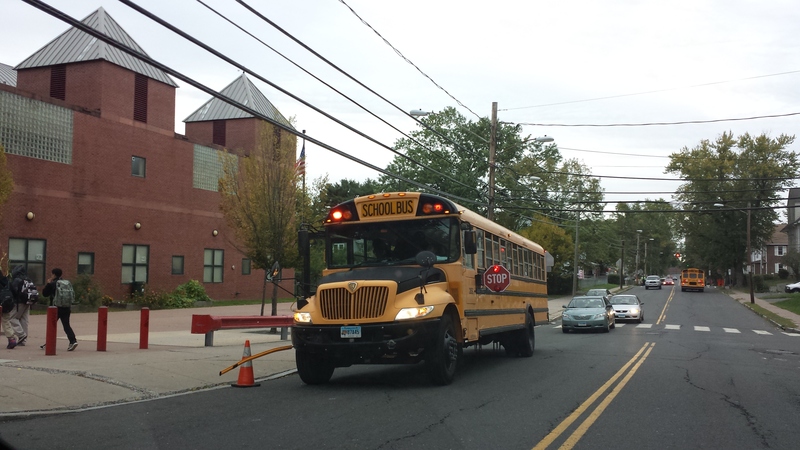 Every school day slightly more than 36,000 students who speak limited English attend schools in Connecticut — that’s one in 15 students. The state has never held local school officials accountable for helping these foreign speakers learn English. That changes next year. Ten percent of an elementary or middle school’s grade will be based on whether its English learners improve their listening, speaking, reading and writing skills. For high schools, it will account for 7 percent of their grade. “This sends a clear message to educators that English learners need to grow,” reads the state’s approved plan. English learners are tested twice each school year on their English skills, but the state department has not historically made the results public or drawn attention to them, even though the state pays for the exams. 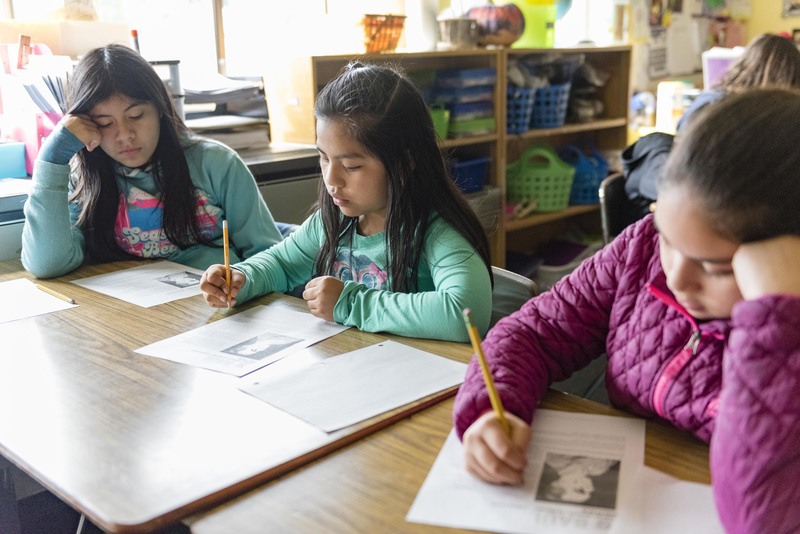 Detailed plans for tracking and improving the performance of English learners were largely left out of the first plan Connecticut submitted to the federal government. Instead, Connecticut – whose eighth graders have the largest-in-the-nation gap in reading achievement between English learners and their peers – promised to address this requirement in the future. When Congress passed the federal education overhaul, it specifically required states to begin including the performance of English learners in their accountability plans. The federal reviewers who evaluated the state’s plan in July wrote the plan included only “vague mention” of the requirement. The state’s lack of focus on English learners has frustrated several legislators and educators for years. The vice chair of the State Board of Education asked for more on the issue after a series of recent articles in The Connecticut Mirror describing shortcomings in educating English learners. The education department has since announced it plans to overhaul its teacher certification laws in order to attract more bilingual teachers, and the state board in October will examine obstacles to expanding dual-language programs, an approach that decades of research shows is the most effective way to help foreign-speaking students learn English and catch up academically with peers. Around February or March each year, the state education department releases a zero-to-100 score for every public school in Connecticut. How students perform on their English, math and science standardized tests – including how much each student’s scores improved over the previous year’s – will continue to be the primary driver of a school’s score. 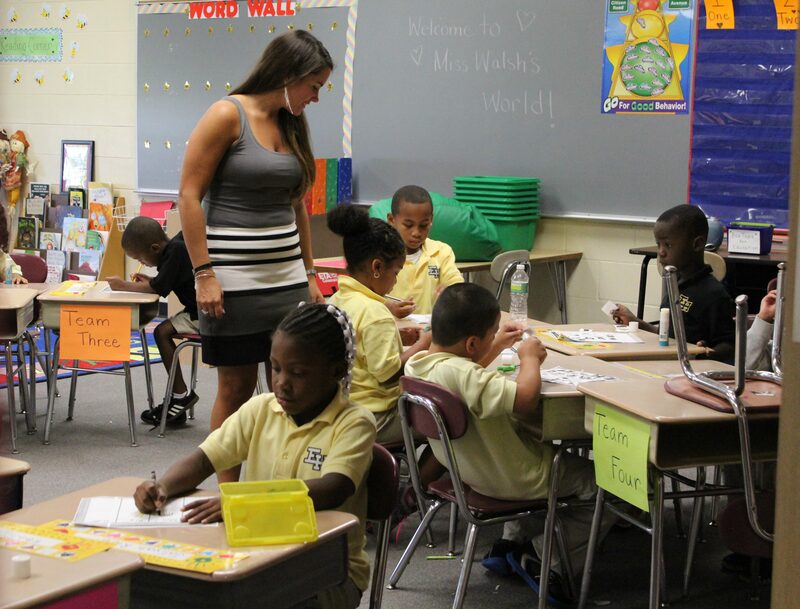 This year’s grades were the first to factor in this student growth – an approach state officials say gives a more complete picture of which schools are on the right trajectory and gives credit to schools that make progress with students who are multiple grade-levels behind. “Simply measuring growth will not provide an understanding as to whether students are achieving grade-level proficiency, because even if 100 percent of students are making growth, there could be zero percent of students that are proficient,” the reviewers wrote. But state officials refused to waver, and didn’t make any substantive changes when submitting their final plan to U.S. Education Secretary Betsy DeVos for approval or rejection. Instead, the state further augmented its argument. If the state were to focus only on reaching grade-level proficiency, then districts might choose to focus their energies disproportionately on those just slightly behind, or “bubble kids,” as the state refers to them in their revised plan. It also would not encourage continued growth of students once they reach grade level proficiency. The state department “can confidently say that this approach is encouraging districts and school leaders to focus on all students across the performance spectrum instead of limiting their energies to ‘kids on the bubble,'” the approved plan reads. DeVos ultimately decided it was an acceptable approach, calling the overall system “a robust accountability system” when announcing approval of both Connecticut and Louisiana’s plans. Connecticut has for years had some of the largest-in-the-nation gaps in achievement between students from low-income families, minorities and their better-off peers. The state had initially planned to group together all students with special education needs, English learners and those from low-income families – call it a “super subgroup” – and measures average performance to determine if intervention in a school were necessary. Those interventions in so-called “focus schools” will still take place, but the state department bowed to pressure from the federal reviewers to also get involved in schools where even a single vulnerable subgroup struggles for three consecutive years. It’s unclear just how many schools would be identified under that approach. The state will get involved in the bottom 10 percent of schools with “super subgroup” achievement problems. After a school is identified as chronically low-achieving, it will initially be up to local district officials to turn things around. Local educators will have until the 2026-27 school year – 10 years – to improve student outcomes before they will be required to enter into a “state-structured decision-making pathway,” which may include closing or reconstituting the school or restructuring the school board. Shortly after the plan was approved, the governor praised the federal action. 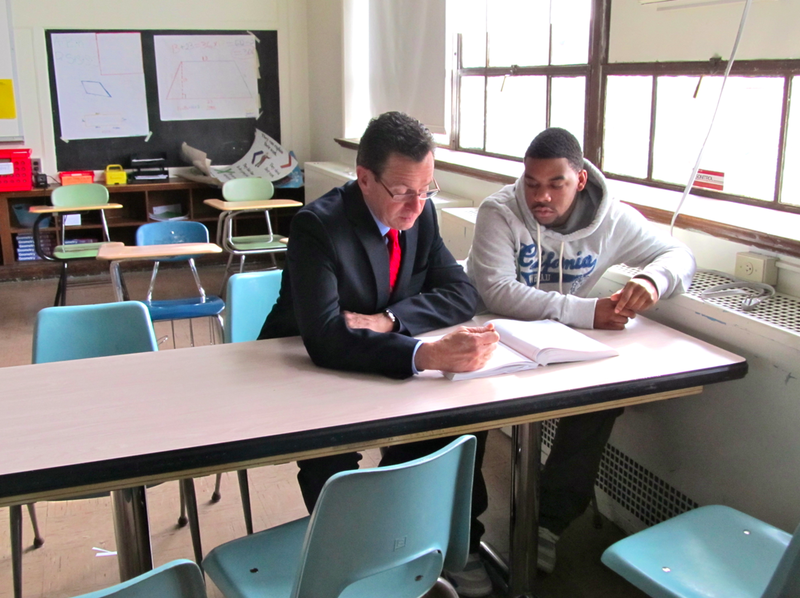 “We are extremely proud of receiving final acceptance of our state plan and believe that every student in Connecticut can achieve at high levels, regardless of family wealth, race, gender, disability, English language proficiency, or zip code,” said Malloy, a Democrat.